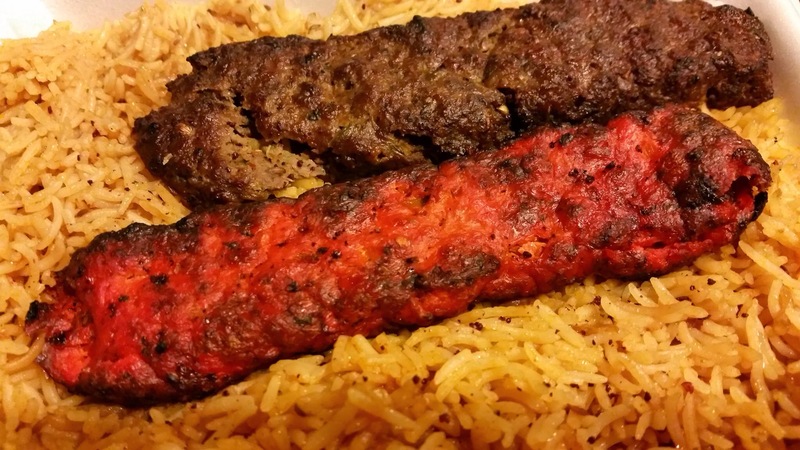 Main Bakhtar Halal Kabab in Flushing, NY – Lamb Tikka and Grilled Halal Meats Rule! Occasionally, I go running in the Mount Hebron Cemetery in Queens, NY. Mt Hebron is a huge cemetery. When not covered in snow, it felt like Central Park for the dead people. Much quieter, less pretentious and more to my liking. But this is mostly a food blog… so after one of my runs, I went across the street to Main Bakhtar Halal Kabab, an Afghan restaurant where grilled halal meats rule! I love Afghan food. 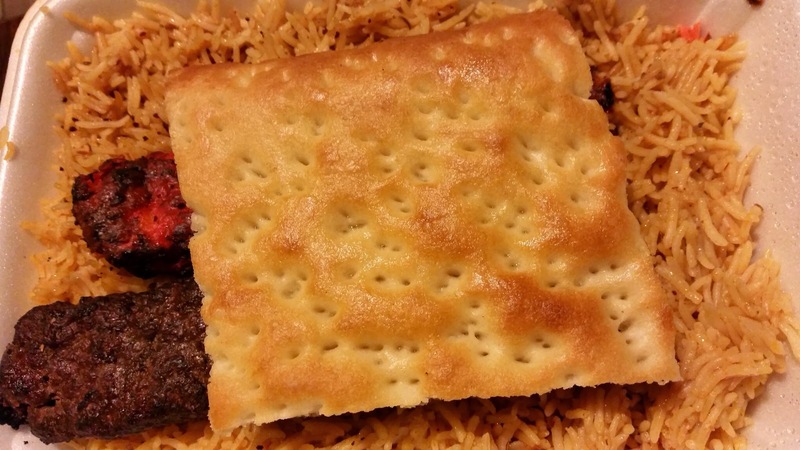 A funny story – My last Afghan food experience in Queens was an interesting one. I walked into a very traditional establishment where the men were dressed in the traditional Thobe (Thawb) and I walked in with a short skirt and high heels. I was also the only female in the entire place that stank of male testosterone and conservatism. Click here to read the entire post. With that in mind, I thought about what I was wearing before I walked into Main Bakhtar Halal Kabab. I was wearing a pair of tight running pants. Not a whole lot better than the short skirt but at least I was not showing any skin. The authority defying side of me decided that trying out this place was far more important than being judged upon. I was also hungry. I went in. I was so happy to find that I was treated like everyone else – normally. The men at the counter were friendly and cared more about whether the grilled lamb is ready than an inappropriately dressed Asian woman in a muslim restaurant. The marvelous Flushing, NY, where all cultures intersect. Love it. This is combo number 1: beef kofta, lamb and chicken tikka. Can’t go wrong when it is the first item on the menu or the most popular one. I eat Afghan food for the lamb and for lamb tikka. It was a perfect lamb tikka, still juicy in the middle. Just writing about this experience makes me hungry again for lamb tikka. The chicken was equally good. The beef kofta was a little dry. The rice was ugly looking but tasty. This is my kind of hole in the wall place. LOVE. Salad. Ah, ok. A must have accompaniment for the combos but serves no purpose. I asked – they don’t deliver. I wish they did. This place is too far for me to walk to pick up my food. As you know, driving and parking in Queens can be a pain. Will definitely return. Highly recommend it if you are looking for a good Afghan place and do not care for the ambience. 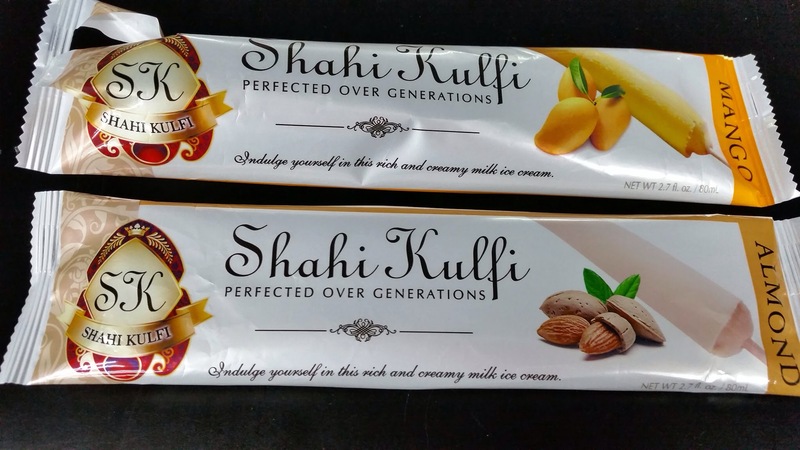 Posted on March 23, 2015 March 23, 2015 Categories Afghan, Cuisines, Middle Eastern, New York Metro, NYC, QueensTags Afghan food Queens NY, Afghan restaurant flushing NY, Bakhtar Halal Kabab, Flushing NY, Halal Kabab, Main Bakhtar Halal Kabab, Main Bakhtar Halal Kabab Flushing NY, Mount Hebron Cemetery, Queens NY1 Comment on Main Bakhtar Halal Kabab in Flushing, NY – Lamb Tikka and Grilled Halal Meats Rule! Have you ever been to a restaurant or a place and instantly felt that you made a mistake in going? But it was too late to back out and you are stuck there, waiting for the experience to end? That was my experience on Saturday night at the Aria Kabab restaurant/takeout hole in the wall in Flushing NY. Wait! This story has a wonderful ending if you stick with me. It was 7:30pm on Saturday night and I was incredibly hungry in Jamaica NY. Just finished a hospital visit and did not have time to research for a good restaurant nearby. So a search on Google Map took me to a random Afghan place called Aria Kabab. Yes, I was in the mood for kabab and lamb. Walking in this place, it reminded me the Chinese takeout place in dicey neighborhoods where there are bullet proof windows in front of the counter. It was not that bad but the place was filled with only men, some dressed in the traditional thobe. As I walked in in a black A-lined short skirt, a black tank top and my three-inch heels, I was suddenly very self-conscious and stuck out like a sore thumb. I wanted to hide or just disappear. Not necessarily crazy about the eyes that were on my bare skin. Regardless, I went up and tried to order Lamb Tikka and Kabab and was told that the lamb would not be ready until tomorrow. It really defeated the purpose of being there. I was upset but needed to eat. Proceeded onto ordering the Beef Tikka and Kabab. 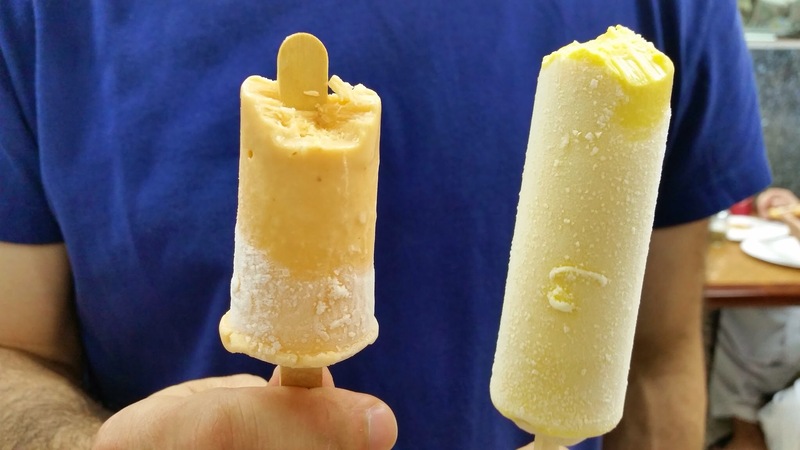 While waiting, we tried this Shahi Kulfi “ice cream.” It’s pretty unique. Does not taste like the ice cream that we know. It’s not sweet and it is very heavy in milk. It’s dense and it’s creamy. It’s not whipped. Interesting. I had the Almond. Would definitely try different flavors next time. I waited over 30 mins for the two dishes of takeout food! They are kababs: grilled meat, with rice, salad and a piece of bread! Did they have to butcher the cow in the back and wash every leaf of the lettuce? I started sighing right in front of the guy. He went to the kitchen and started yelling something in a language I could not make out. Finally! I could not wait to take my food and get out of there. Got in the car. Famished. The food smelled soooooooo good. Wow. I dug in immediately without any utensils. Here comes my very best eating, with fingers. I was such a fine lady eating meat using my fingers and wearing my pretty short skirt in a moving vehicle! Have you had food that was so good but the pictures look so bad? Here is an example. This is the Chicken and Beef Kabab. I am very sorry to say that I finished my food in the car and no picture was taken of my dish. This is the other dish that survived me. Let me tell you about the Beef Tikka and Kabab that I had. The beef tikka was marinated so good, grilled so good, and so succulent on the inside that it made the experience completely ok.
My Beef Tikka and Kabab in a moving vehicle experience made my 30 mins of discomfort as a woman dressed inappropriately for a conservative culture almost go away. I was asked whether I would go back. I think I would. I was asked later by an 11-year-old girl whether I would go back but dressed in pants instead. I said that I would not change the way I dress because of the cultural requirements and because I feel that I can help changing the conservatism. In retrospect, that was an incomplete answer. This approach only works while I am living in the U.S. and protected by our cultural norms. I remember being in Marrakech, Morocco and felt completely out-of-place, even if I was dressed conservatively. As far as I could see, women were secondary in everything in the Muslim culture. As a woman in Marrakech, it was easier to fit in when I changed how I dressed and walked behind the men, including the private tour guide that I paid for! Not for a second did Moroccan men pay attention to me when I was with a male companion. I had no voice. I was not the one who ordered in the restaurant. I was not the one whom people spoke to. I was silenced. I stood behind the men. It only happened once that a very smart Moroccan business man figured out that I was the decision maker and started talking to me instead. On a similar note, when I visited the Vatican City in Rome, I had to cover my legs and arms in the brutal July heat wave in order to gain entrance. What is the difference here, other than not walking behind the men? Italian men sometimes represent the stereo typical chauvinist and only think of women one way. Why is one approach a turn off and another can be a turn on? On the flip side, the girls/women in Taiwan have taken up to wearing very short skirts in a fairly conservative culture. Taiwan is extremely safe. There is barely any crime. As a result, a minority of women dare to wear skirts as short as their underpants and ride the tall escalator up, letting everyone (both men and women) a clear view of their business. I was shocked when I first saw it and I was eager to comment. My friends quickly shushed me because it is rude to comment on how others are dressed. Men in Taiwan are respectful. I never catch men looking at women in a sexual way. Men in Taiwan don’t leer and they seem more zen than men. At least outwardly. What do you think of how an American woman should dress in a conservative environment? Are we partially defined by how we dress? Are women succumbing to men if we cover up? Does coverage of our body represent our silence? Do we want men to be so respectful that even a mini mini skirt does not get any attention? What is the proper length for a skirt anyway? Please feel free to comment and tell me what you think. I am curious about what the true cultural norms are in the US. Lastly, Aria Kabab makes delicious food and is definitely worth a repeat visit – paying the $7.50 bridge toll twice and driving all the way from the Westchester County NY to Queens. It’s not everyday that I have an experience that makes me question the cultural norms. Happy brain. Happy tummy. They don’t have a web site. Here is the link to Yelp on Aria Kabab.